Six years after releasing a rant against the whole idea of an “Avatar Land,” your host reviews Pandora — The World of Avatar now that it’s open at long last. 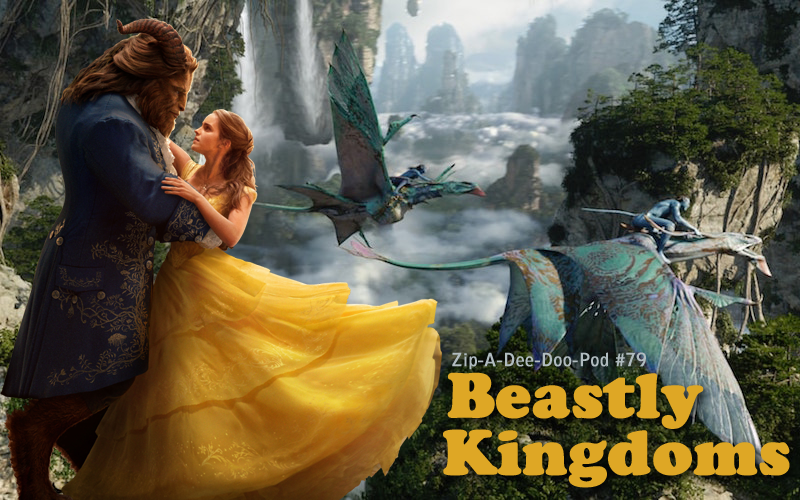 AND Aaron is joined by special guest Albert Gutierrez (of The Three CommentEARS) to take a closer look at Disney’s new live-action Beauty and the Beast. Listeners also have a chance to win the movie on Blu-ray or its soundtrack on CD.